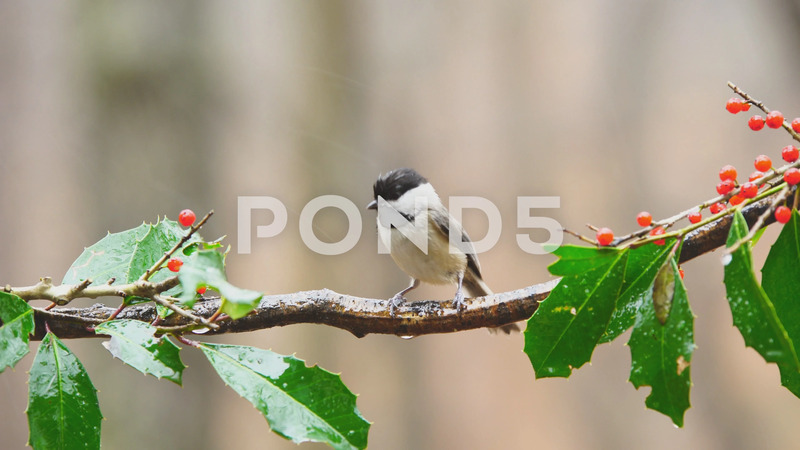 Description: Carolina Chickadee (Poecile atricapillus) is a small North American songbird. Rain, Snow, and inclement weather. January in Georgia.